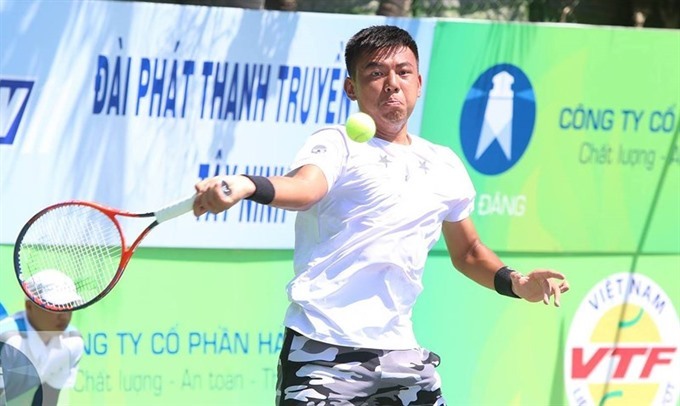 HÀ NỘI — Việt Nam’s top tennis player Lý Hoàng Nam reached the semifinals of the Việt Nam F5 Futures – Hải Đăng Cup 2018 in the southern province of Tây Ninh on Friday. With support of the hometown fans, number three-seeded Nam defeated the six seed, Robert Strombachs of Germany, 2-0 (6-4, 6-2) in the quarterfinals. Nam is world number 476 in the ATP rankings, while Strombachs is number 621. Earlier, Tây Ninh–born Nam made it to the semifinals of the Việt Nam F4 Futures. Nam will next face Yu Cheng-Yu of Chinese Taipei, who beat Rai Ajeet of New Zealand (6-4, 6-2) in his quarterfinal matchup.